Are you an aspiring entrepreneur? We are organizing a workshop in partnership with Emirates Foundation as part of their Kafa’at Program. 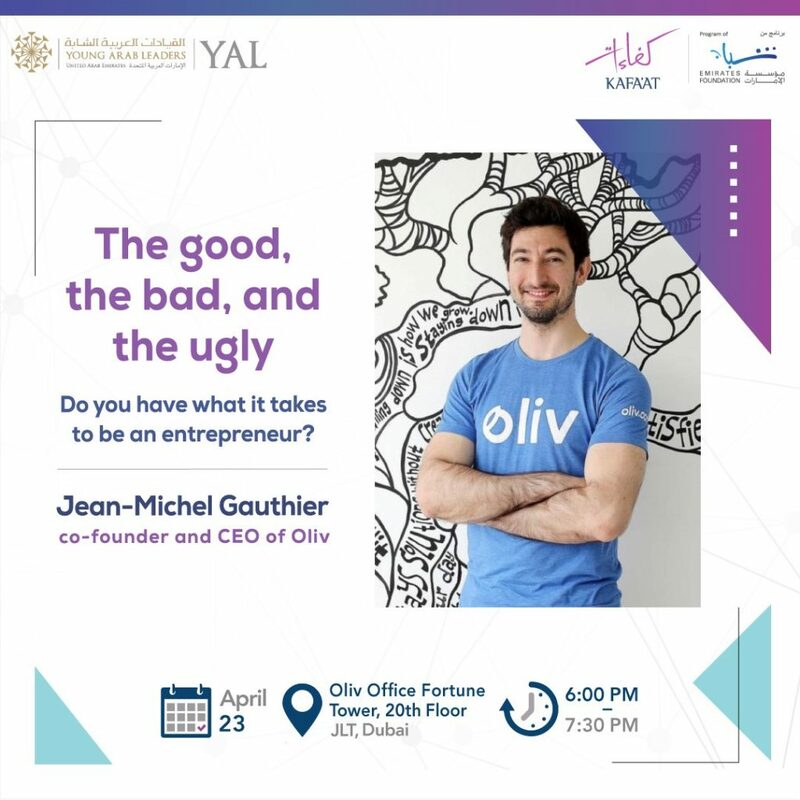 Join us and hear YAL Member and CEO of Oliv, Jean-Michael Gauthier, speak on what it takes to be an entrepreneur. This event is co-organized with Young Arab Leaders.